Meera S.'s Reboot program, Reboot | May 6 2019, starts in 12 days. I was glad to have done this program because the effects of it was being reflected in the form of compliments abt my weight loss from family and friends! And of course fitting into clothes better. And now on why this title! KB has made a lifestyle change for me. Especially in terms of my diet and my palate. Planning to continue with this balanced diet. Workouts are not my strength.. but I am aiming to at least do that three to four times a week. 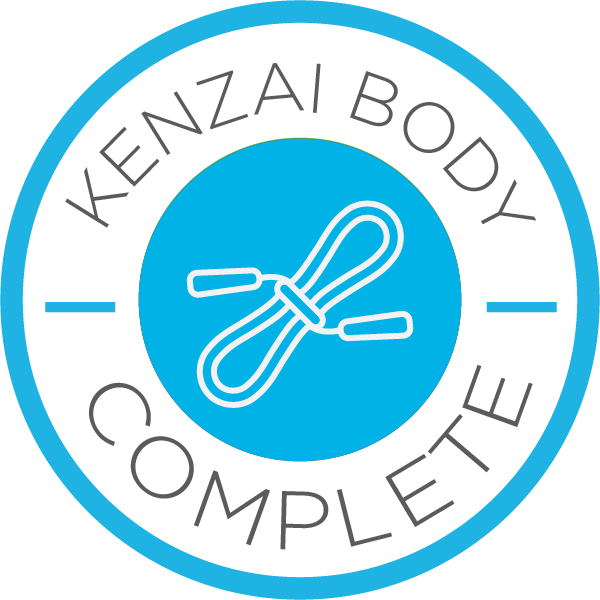 And finally a big shout out to Ward, Ed, Kim and all the Kenzai trainers and my teammates who have been a huge support during the last three months! Good luck and have a great one all of you! After reading today's lesson I am determined to give in my fullest for the last seven days. while the last one month have been far from ideal (for KB), after reading today's lesson I want to have a positive memory abt my KB journey. good luck to you all! The wedding functions started yesterday and will be there until 22nd! Until then the diet was more or less on track. since yesterday it has not been easy and it may be difficult for a week! I could TOTALLY relate to today's lesson. In fact I was planning to blog abt it yesterday. I am feeling quite burned out and the exercises seem quite gruelling! But it is good to know that it suggests that things are going right. I might resort to the techniques suggested for the low energy days. Until then all of you keep going. The finish line is almost there! 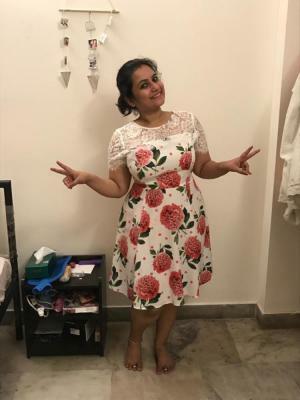 I was packing clothes for the wedding and was trying out clothes from 5 years ago (my wedding clothes). I had not used them in some time because I was not able to fit into them. I felt so happy that I was able to! Giving me the inspiration to keep at it to see more results at day 90! I am back in Delhi for the next 5 days until I leave for Chennai for my sister's wedding. My husband and I have decided to stick to the regime till the wedding. Hoping to keep at it! last seven days have been super hectic as it was my sister's engagement and had a lot of travel and socialisation. so I ended up missing my workouts and couldn't stick to the diet. Not feeling too great about it. will get back to the regime from today until the pre wedding events. Really happy that I have reached one third of the program. TBH it has not been an easy ride especially in re the last two weeks of the exercises. Especially today I wanted to give up half way through metronome, but I was visualising a picture of mine 7-8 years ago where I was at my fittest. This is how it looked! Incentives always help to keep it going! Unlike usual, feeling quite burned out through half way of the exercises. Maybe it is because I have not been regular during the last few days or change of weather (I am away from home, Delhi and in Chennai where it is hotter). Also, tried plank today and I just couldn't hold myself up for more than 5 seconds :( Hopefully I will get better with time. Also, after reading today's lesson on legs, I was feeling slightly bad about my knee pain and that I am not able to do all of the prescribed exercises. Thanks to the team I have got alternate workouts for these and they should give me the same results. Wishing all of you a great week ahead! Blogging after a long break. Have been really busy with some personal commitments. When I took my end of week 3 pic, I was quite happy to see some changes. But as given in one of the lessons, the changes are more visible on my husband. While I am lil jealous abt it, I think I need to patient. Day before yesterday was my first eating out since KB. I managed to stick to 80 per cent of the diet. Also, I am back home for a week and that helps me maintain my schedule. I found today's abs routine very difficult, but managed to finish it! Also, getting a hang of the workouts with the resistance band. Injured my knee so no skipping and squats and lunges. Upper body exercises going strong. And of course walks! Waiting for the cheat meal day! I have been finding it difficult to have food without salt, not fully enjoying my meals :( I think I will get used to it. Also, not used to eating so much vegetables. I remember Ed mentioning that the quantities will reduce over time. In any case, I am strictly sticking to the diet :) My dinner today! Once the festivities have concluded, I have been able to stick to my diet! Here is a pic of my dinner from yesterday. Also, as Kim wanted a photo from the festival! Today is beginning of harvest festival in South India and there were some festivities at home. So couldn't blog for the last two days and also missed my exercises on Sunday and Monday. However, today I managed to do all the workouts and stick to most part of the diet. Also, today was my first day of following the diet by weighing the food. One thing I realised is that if you stick to the quantity then you will feel full! Further, I had read the NY times article suggested in yesterday's lesson. 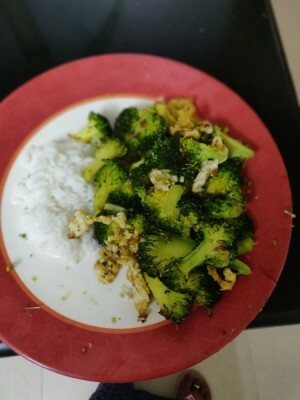 As mentioned in it, I am not altering my traditional food which is largely less oil and more of spices and some coconut. I am guessing coconut is fine for our diet. Lost my seven day streak! Shifted my work out to evening for today but reached home very late after a movie. Tomorrow I am on the road from early morning till late evening. Not sure if I will have the energy to finish the work out Tom. Already feeling bad about it. Will fall into the groove from Tuesday.